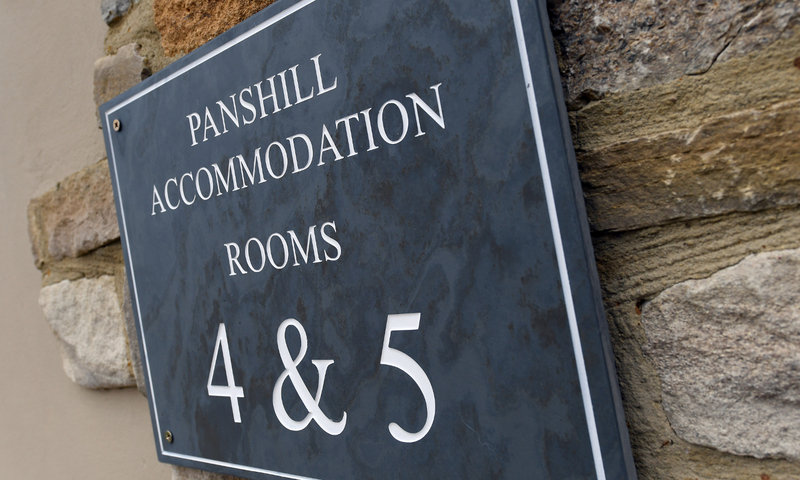 Panshill luxury accommodation oxfordshire bungalows offer versatile living. Each of our luxury rooms are individually designed for your comfort. 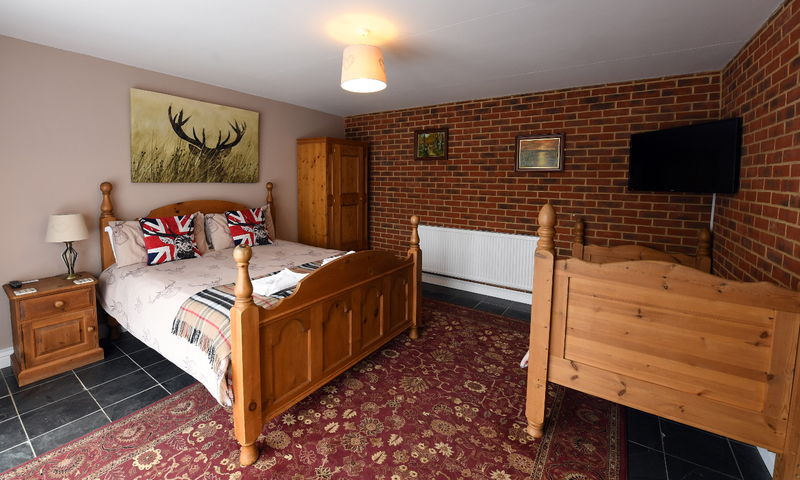 Room 4 is decorated in a country stag theme. 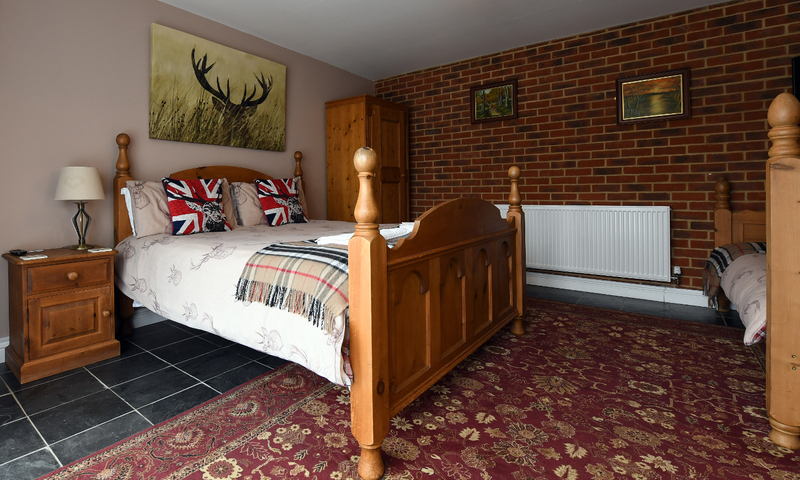 Offering a kingsize & a single bed and a flat screen TV. Tea/coffee making facilities and a mini fridge containing continental breakfast items are located in a communal area shared by two rooms. 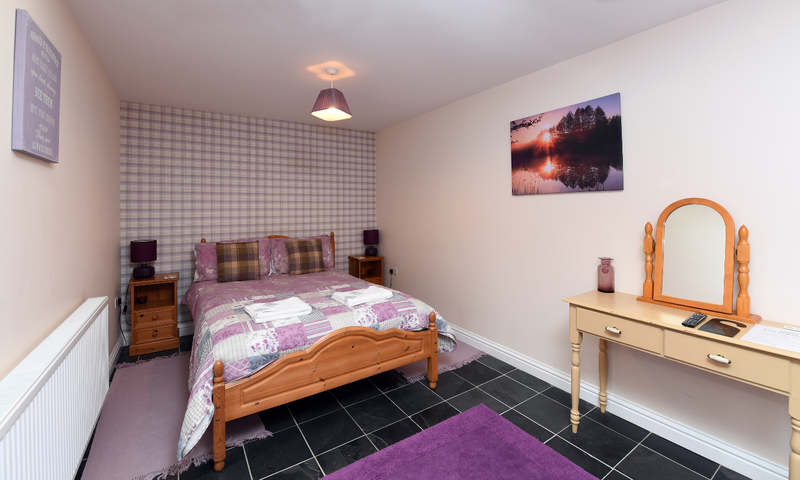 Room 5 is decorated in purple & grey tartan colours, featuring a sun tunnel window and a flat screen TV & shares the shower room with bedroom 4.